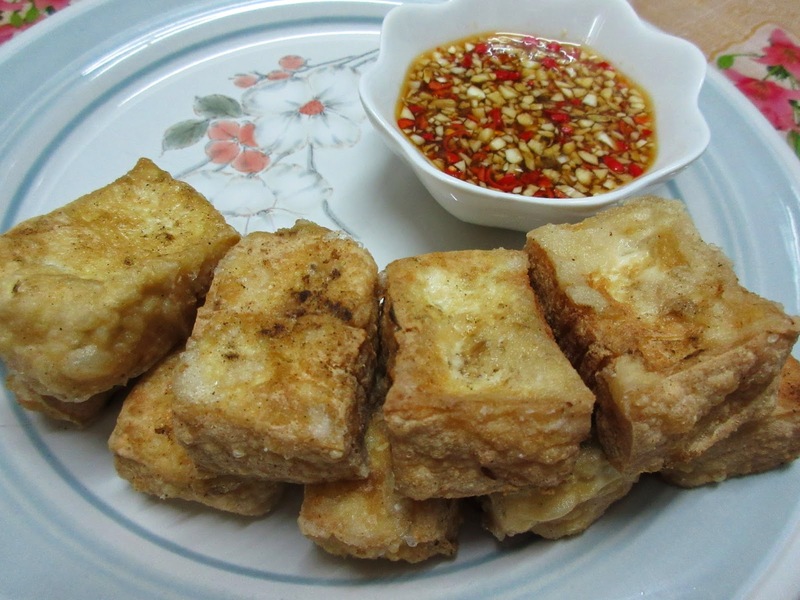 For this deep-fried beancurd, it is better to use the semi-soft type of tofu. In Cantonese it is known as 'tau yoon'. It tastes better. However, you can still use firm tofu if the semi-soft type is not available. The coating of salt, pepper and cornflour makes the exterior fragrant and crusty while the inside is still soft. I serve this as a vegetarian dish. It is rich in protein. This can be eaten as a snack at teatime or just anytime! Mix everything together and pour into a small bowl. 1. Wrap tofu with several layers of kitchen towels. Set aside for 10 to 15 minutes. Pat dry to remove liquid. Cut into 6 rectangular pieces. Pat dry again with paper towels. 2. Sprinkle salt, pepper and black pepper on the tofu pieces. Sprinkle some cornflour to coat them. 3. Deep fry in hot oil. Drain on paper towels. 4. 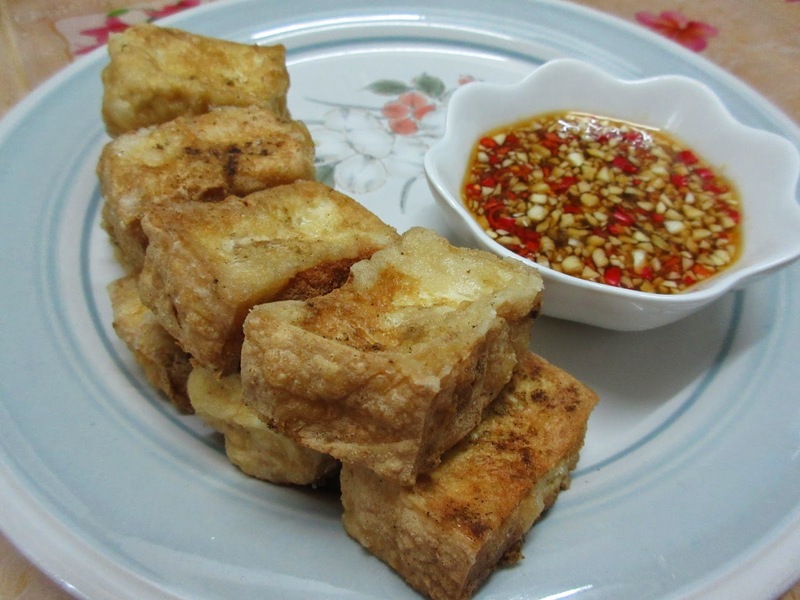 Arrange on serving plate and serve with tangy chilli dip.